Hospital Records Sonic Surgery launches at #BMC18!! 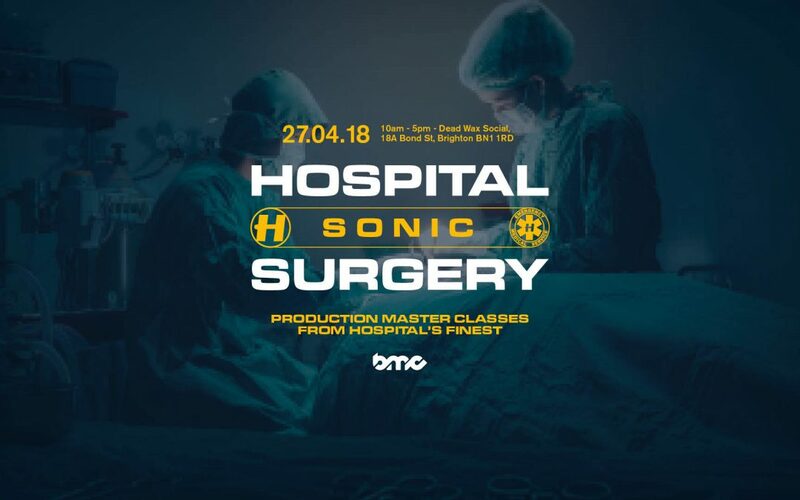 For the first time Hospital Records are opening the doors to their Sonic Surgery, where you can hear from their most experienced drum & bass surgeons on how they create, develop and finesse their tracks in an in-depth set of production masterclasses. Across a full day of talks from London Elektricity, Nu:Tone, danny byrd & Keeno you can pick up tips and tricks on how to build sound archives, source songwriters, perfect a mixdown and much, much more. Whether you’re a beginner or a serious D+B engineer you’ll gain valuable insight into the minds of our musical maestros. Plus if you’ve dreamt of getting your demo heard by the Hospital A+R team then this is your chance. From 4PM there’ll be a rare opportunity to chat through your tracks and get clued up on how to get signed to a leading label in UK dance music. From just £66 (early bird price) you can book full day’s appointment at the Sonic Surgery plus access to the rest of BMC18. Very limited spaces available. EARLY BIRD TICKET SALE ON NOW! !